DZOApps :iPhone, Android, iOS app development services in Seattle USA: Quran Shareef - Free Download for iPhone devices. Quran Shareef - Free Download for iPhone devices. 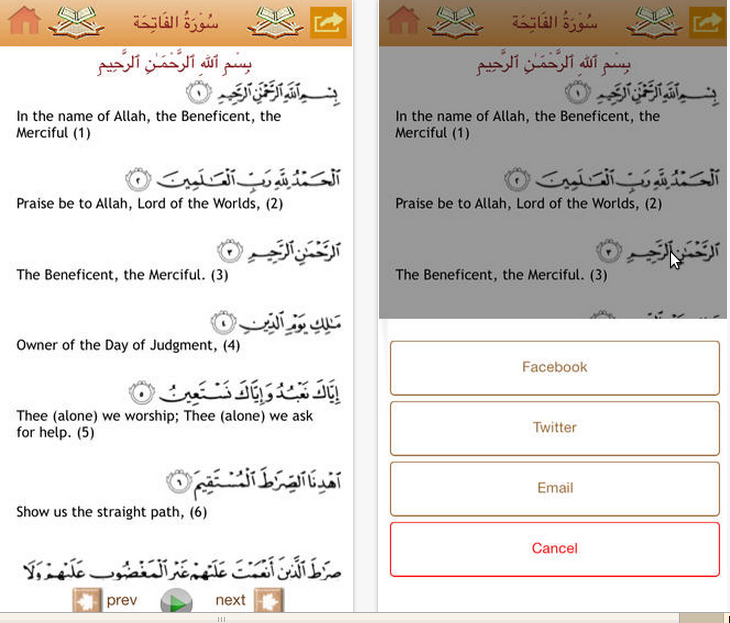 Dotzoo Inc is proud to present Quran Shareef application for iPhone devices. It will be available to Free Download from the iTunes Store! The Quran is a book of divine guidance and direction for humanity, followed by Muslims and others across the world. This word of the Almighty teaches and shows us the righteous ways of life. Through this App, users will be able to read the 'Surah' in Urdu and its translated meaning in English. This is an excellent tool for teaching the young and spreading the good words of the Almighty. User interface design look like for iOS 7. "Keep the most beautiful book Holy Quran with you. Read it anywhere any time on your iPhone." If Download Link doesn't work Please Comment below In the Post.We Will Solve it As soon As possible. We offer cross platform mobile solutions including SIP dialer to iPhone Application Development Company worldwide clients. We specialize in the development of business apps for iOS, Android, Windows, and SmartPhones. I found this blog very informative in Islamic stuff. Now beautify your life with the blessings of reading, listening to, and understanding the Quran on the go. Quran app by Deenwise exclusively offers you the complete Quran with translation on iPhone. Silence Zone feature turns your phone to silent when you enter in the Praying Area. It will enable the sounds when you leave the mosque! – The Whole Quran, Audio Recitation and English & Urdu Translation. – Ramadan Portal with Ramadan Duas, Calendar, Deals, Timings and Alarms for Sehr & Iftar.